It seems like not too long ago we were talking about an awesome tire-treaded team-up with our next-door neighbors at Turn 10. Back then, we were helping celebrate the gold-going of the open-world extravaganza that is Forza Horizon 3 with the addition of the beloved Warthog to the game’s vehicular roster. This time, however, we’re keeping things a bit more tightly zipped. In the Nomex-laden sense, of course. Today, we’re excited to announce another awesome partnership with the fast and furious Forza folks to bring some Halo-themed flair to Forza Motorsport 7’s already fun and impressive lineup of delightfully designed driver gear. Similar to our studio siblings at the Coalition, we’re momentarily switching from gunning down enemies to gunning our engines. Meridian may be worlds removed from Maple Valley, but these three new driver suits will let fans put their passion for Halo on full display in Forza Motorsport 7’s 700+ strong lineup of incredible vehicles. 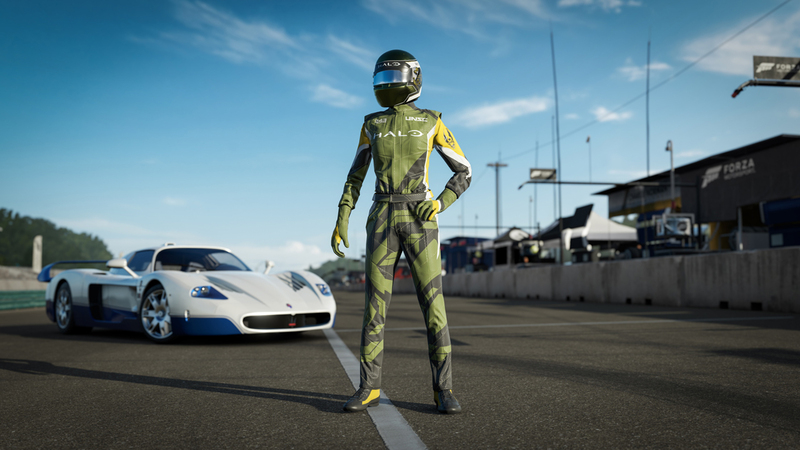 First up is this awesome Halo-branded driver suit – befitting pilots who are as at home in a Maserati or a Viper as they are a Warthog or Wasp. To get this slick kit, all you need to do is have played Halo 5: Guardians, Halo: The Master Chief Collection, and/or Halo Wars 2 before Nov. 30, and you’ll be good to go! 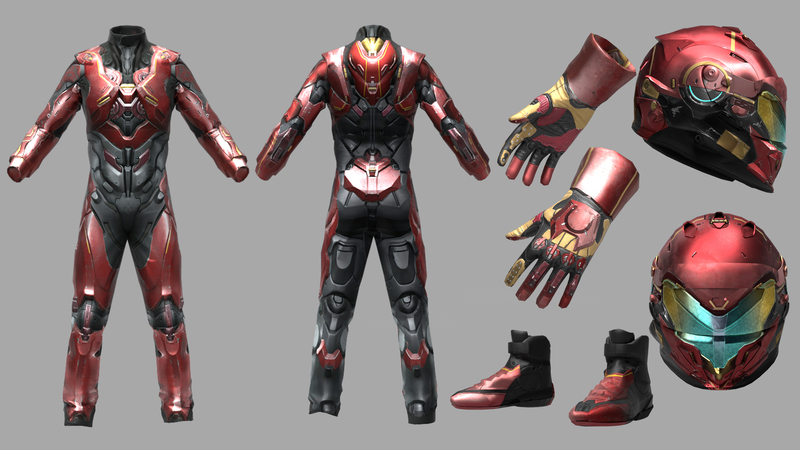 Starting Dec. 15, eligible players will begin to receive codes for the Halo Driver Gear suit via an Xbox Live Message. (NOTE: It may take up to a week for all eligible players to receive their codes). Now if for some reason you haven’t had a chance to boot up one of the aforementioned Halo titles yet, just make sure you do so before Dec. 31, 2017 to secure your eligibility! 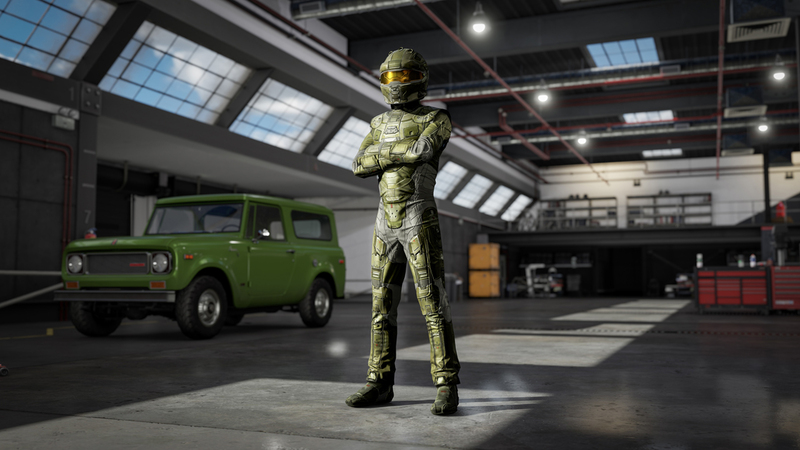 In addition to the Halo-branded driver gear seen above, Forza Motorsport 7 players will also have the opportunity to earn and unlock two Mjolnir-themed suits based off the armor of Spartan Olympia Vale and the Master Chief. Look, sometimes beating the Covenant just isn’t enough. Sometimes you’ve got to take on the likes of Ferrari, Lamborghini, Pagani, and Porsche. Master Chief Petty Officer John-117 is the quintessential Spartan. He is a living legend, inspiring awe like a mythological hero from ancient history, but with the formative presence of an armored tank. Throughout his extensive military career, John-117 has accomplished feats and displayed a kind of undaunted courage that is nothing short of extraordinary. With these awesome renders below, you can check out some of the slick details that the Turn 10 and 343 teams painstakingly poured into capturing the essence of each armor set within these new Driver Gear pieces. Olympia Vale serves as the field anthropologist and Sangheili cultural expert of Fireteam Osiris. Curious and composed, Vale is fascinated by the contradictions and complexities of Sangheili culture, and finds in their psychology and rituals a truly challenging puzzle that can be unlocked through dedication and study. 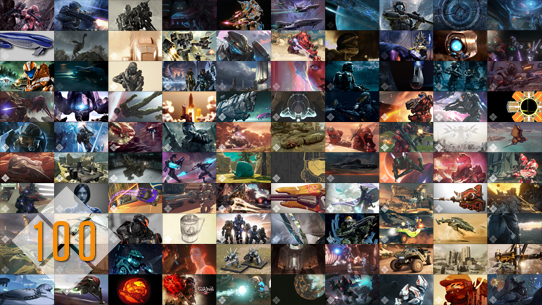 As many of us here at 343 are devout gearheads, we’re pretty revved up over the opportunity to represent our own franchise while having fun in another one we all adore. Don’t be surprised if you find yourself chasing one of our Drivatars around Le Sarthe sporting some of these new duds. For more information, make sure you check out the Forza team’s Week in Review blog right HERE. Today, a new chapter begins in the Halo’s competitive legacy, beginning with the road to the Halo World Championship 2018, and the announcement of incredible new partnerships. The wait for new news may have seemed unbearable at times, but we’re excited to confirm that the wait is finally over. The future of Halo esports starts now. Since its start, the Halo World Championship structure and format have been updated and improved each year based on player and fan feedback. Today, we’ll talk about how teams will qualify for each event in 2018, and provide some detailed updates and changes for this year. 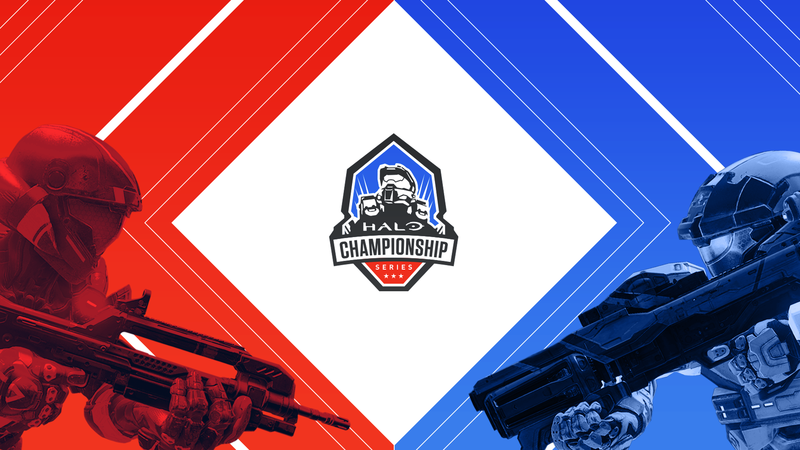 While the official HaloWC 2018 handbook is still on the way, this blog will provide some key details and an overview of what’s to come.